MODESTO, CALIFORNIA, UNITED STATES, October 19, 2018 /EINPresswire.com/ — Academic Physician Life Care Planning, LLC provides Sanchez proof testimony for its defense and plaintiff life care plans that relates to the anticipated cost of necessary future medical care by providing opinions in its life care plans from neurosurgeons, orthopedic surgeons, and Board-Certified physicians in Physical Medicine. The Sanchez Decision by the California Supreme Court in June of 2016 has precluded a physician or nurse from relying on costing research provided for by this historic practice of obtaining cost data by life care planners, as this case has ruled that this testimony and reliance on these costing data essentially becomes ‘testimonial hearsay’ and is now barred by the confrontation clause of the Sixth Amendment. Attorneys must now incur significant costs for expert opinions that independently can be relied upon a physician’s ‘skill, knowledge, experience, education, and training’ as it relates to the cost of future medical care. Non-catastrophic injuries such as disc herniations, rotator cuff tears, and knee injuries all have anticipated future care to patient’s life expectancy. Catastrophic injuries including traumatic brain injury, spinal cord injuries, burns, and amputations have future medical care in the millions. Plaintiff and defense attorneys must now get evidence of future care cost in by relying on experts with the ‘knowledge and experience’ that relates to cost. Academic Physician Life Care Planning, LLC, led by Dr. Greg Vigna, provides Sanchez proof testimony by using neurosurgeons, orthopedic surgeons, prosthetic experts, trauma surgeons, plastic surgeons trained in burn care, and Board-Certified Physician in Physical Medicine Rehabilitation for its opinions that relate to all necessary future care and its cost, and life expectancy analysis. The physicians also have experience in fees related to facility fee cost. 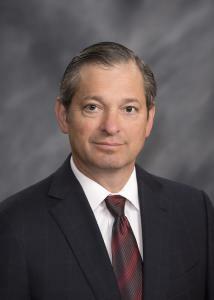 Dr. Greg Vigna, owner of Academic Physician Life Care Planning, LLC, is a practicing attorney, Certified Life Care Planner, and Board-Certified Physician in Physical Medicine and Rehabilitation currently is the Medical Director of HealthSouth Modesto. Academic Physician Life Care Planning, LLC provides this service with no additional cost for its defense and plaintiff life care plans.